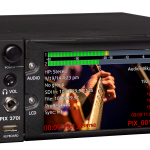 Like the PIX 250i, the PIX 270i features a powerful hardware scaler and frame rate converter. Up, down, cross-conversion and pulldown removal give users the ability to record files in a customer-requested rate, even rates not supported by the camera. The camera-mount PIX 240i video recorder also supports aspect ratio conversion, HD to SD and SD to HD. The on-board high-accuracy Ambient timecode generator makes the PIX 270i right at home on any production from simple single camera shoots, to complex multi-camera sync-sound productions. All common timecode frame rates and modes are supported. 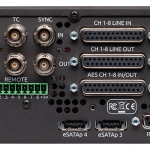 Embedded timecode over SDI and HDMI is also supported. The video input on the PIX 270i has extensive compatibility with a wide range of cameras. It’s BNC input accepts 12-bit 3G SDI (4:4:4 RGB or YCbCr), HD-SDI, SDI. 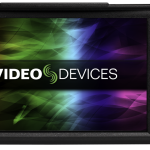 Its HDMI input accepts high-definition and standard-definition video. This version of firmware implemented RS-422 Servo Lock Status Bit to support transport control from more DAWs and NLEs. Dante Sync has been added to the 970 and as an Audio Only Mode option on the PIX 270i.